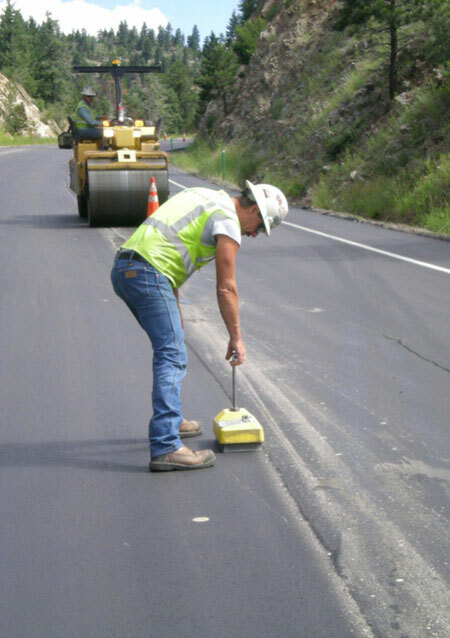 Learn how to improve the performance of longitudinal asphalt pavement joints with a new workshop available from the Federal Highway Administration (FHWA). The free 4-hour workshop is designed to provide State transportation agencies and industry representatives with the latest information on specifying and constructing more durable longitudinal joints (LJs) and preventing premature cracking. 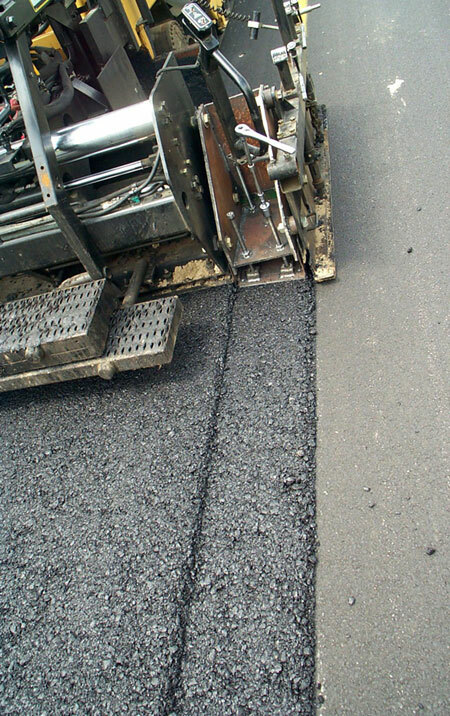 LJs are produced when fresh hot-mix asphalt is placed adjacent and parallel to an existing lane on a roadway. The joint is the interface between the two asphalt mats. Low density, permeability, and lack of adhesion can cause premature cracking and joint failure. The workshop is the result of an FHWA and Asphalt Institute project that examined how LJs are specified and constructed across the United States. This project included a review of available literature and specifications, indepth interviews with expert paving consultants and contractors, and site visits to States of interest. "A goal of this project was to search for consensus on how best to specify and construct LJs," said Steve Cooper of the FHWA Resource Center. "The project is intended to provide the best practices possible for achieving overall LJ performance equal to that of the mat." Best practices for specifying and constructing LJs. Construction best practices include, for example, using a string-line guide to ensure that the paver operator makes a straight first pass. Other important best practices include ensuring that the vibratory screed on the paver is turned on at all times during construction and applying a tack coat uniformly to the full width of the lane. Also covered are successful State strategies to increase pavement density and improve performance of the joint, as well as resources to assist agencies in turning best practices into standard practice. The workshop is intended for Federal, State, and local government personnel who are responsible for pavement specifications and the overall acceptance of roadway projects. It is also designed for paving contractors who are responsible for adopting construction best practices. "The ultimate successful adoption of these improvements will need to be a team effort," said Cooper. More than 170 participants attended the pilot workshop in West Virginia on January 11, 2012. Since then, workshops have been held in Idaho, Minnesota, Colorado, Connecticut, Delaware, and Utah, with five more scheduled in the near future. "The feedback has been overwhelmingly positive," said Cooper. "Every State can benefit from this workshop." More than 40 participants attended the Delaware session on March 22, 2012. "I thought it was excellent and very relevant for the needs of the Department," said Jim Pappas, Assistant Director for Quality at the Delaware Department of Transportation. "The information presented will help our field personnel know what to look for and how to address improper LJ construction. It will also serve as a framework for us to draft a specification on LJ requirements." For more information about the LJ workshop or to schedule a session in your State, contact Steve Cooper at the FHWA Resource Center, 443-257-7145 (email: stephen.j.cooper@dot.gov).